The Golden Gate Bridge could have been striped! Can you imagine the iconic Golden Gate Bridge in any other colour? The iconic Golden Gate bridge stretches across Golden Gate Strait, the entrance to the San Francisco Bay from the Pacific Ocean. The bridge has always been painted a bright orange vermilion, called “International Orange” but it could easily have been painted a very different hue. The famous orange wasn’t a color from the original list of options—it was the primer used to protect the steel for the bridge. Architect Irving Morrow loved it so much he selected it as the final colour. The US Navy had wanted the bridge to be painted in black and yellow stripes to make it easier for ships to see through the fog. Can you imagine this instantly-recognizable landmark painted in any other colour? Makoto Hagiwara is reported to have been the first person in the U.S. to have served the modern version of the cookie when he did so at the Japanese Tea Garden in Golden Gate Park in the 1890s or early 1900s. Today you can still enjoy a cup of tea and sample popular Japanese refreshments in the newly refurbished Tea House. Or if you want to watch the cookie-making process up close, make a stop at the Golden Gate Fortune Cookie Factory in Chinatown – where you can see the bakers in action, enjoy a variety of unusual flavours, or customize your fortune cookie with a custom message. 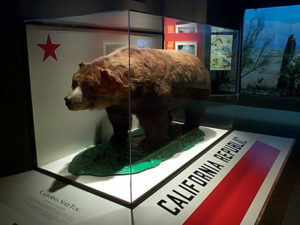 Up until the gold rush, grizzly bears were plentiful in California, owing to the temperate climate and wealth of food sources. As people began to claim the land for mining and farming, encounters with humans proved deadly for the bears and they were extinct by 1922. Monarch, a 1,100-pound wild grizzly bear (one of the last wild California grizzly bears) was captured in 1889 in a publicity stunt concocted by newspaper publisher William Randolph Hearst and kept for 22 years at a zoo in Golden Gate Park. The bear on the original 1911 version of the state flag was modelled after him. After his death, his pelt was stuffed and now resides at the California Academy of Sciences. Alcatraz Federal Penitentiary was a maximum high-security federal prison on Alcatraz Island, 1.25 miles off San Francisco, which operated from 1934 to 1963. 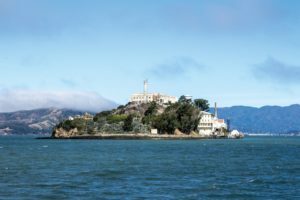 It was built to house the most dangerous inmates of the day and housed notorious criminals including Al Capone, James “Whitey” Bulger, George “Machine Gun” Kelly, and Robert Straud “The Birdman of Alcatraz”. The prison was said to be impossible to escape, and while there were no confirmed escapes, no bodies were ever recovered, leading some to speculate that they may have engineered a successful escape. According to reports, Al Capone was a model prisoner during his time at Alcatraz during the 1930s and thanks to this good behavior he was afforded some privileges. He enjoyed playing baseball, horseshoes, checkers, and dominoes and became very interested in music, playing the banjo in an inmate band called “The Rock Islanders.” Today you can visit the island and tour the abandoned prison. San Francisco is home to a large flock of…parrots! One of the last things you expect to see in San Francisco is wild parrots, but the city is full of surprises! 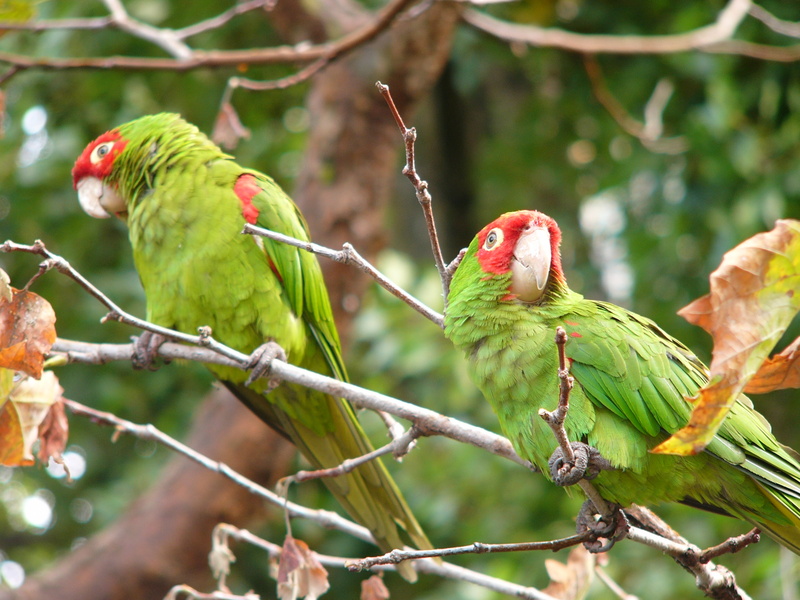 There are approximately 300 cherry-headed conures that inhabit the Bay Area. Native to Ecuador and Peru, there are a number of theories on how the parrots came to live somewhere so far from home, but it’s likely that a captive breeding pair escaped some time ago and have bred with other escapees to create the large number of birds. 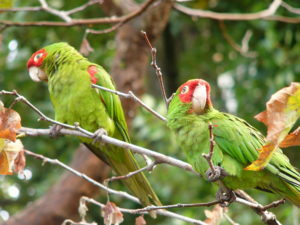 They are a common sight all over town, but the best place to view the parrots is on Telegraph Hill on the northeastern side of the city where they like to perch above the Filbert Street Stairs. If you want to learn more about these fascinating birds, the documentary “The Parrots of Telegraph Hill” is an entertaining way to start. All aboard the Napa Valley Wine Train! At the turn of the century, with its wealthy wine merchants and proximity to both rail lines and the Pacific Ocean, San Francisco was known as “The Paris of the West.” The powerful California Wine Association controlled the production and distribution of nearly all Golden State wines. Its headquarters, in San Francisco, stored millions of bottles of wine for shipment. But during the 1906 earthquake, over 10 million gallons of unsalvageable wine ran through the streets and the wine industry learned a painful lesson on the dangers of centralization. Following this disaster, a major shift led to wine being stored more closely to the vineyards, creating what we now know as California wine country. 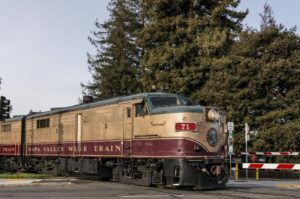 These days one of the best ways to explore wine country is on the Wine Train—a luxury roundtrip experience aboard historic railcars with fine dining and stops at celebrated Napa Valley wineries along the way. 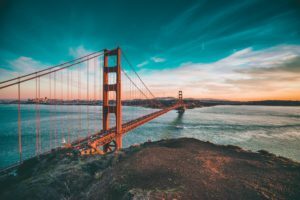 If you’ve never visited this fantastic destination, or you’re dreaming of going back, join Wells Gray tours this May on an unforgettable trip to San Francisco. 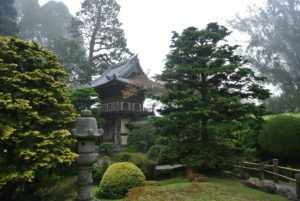 May is an excellent time of year to visit as the weather is pleasant, but the signature summer fog hasn’t rolled in yet. On this tour, you can enjoy 5 nights at the Hotel Zephyr ideally located at Fisherman’s Wharf. 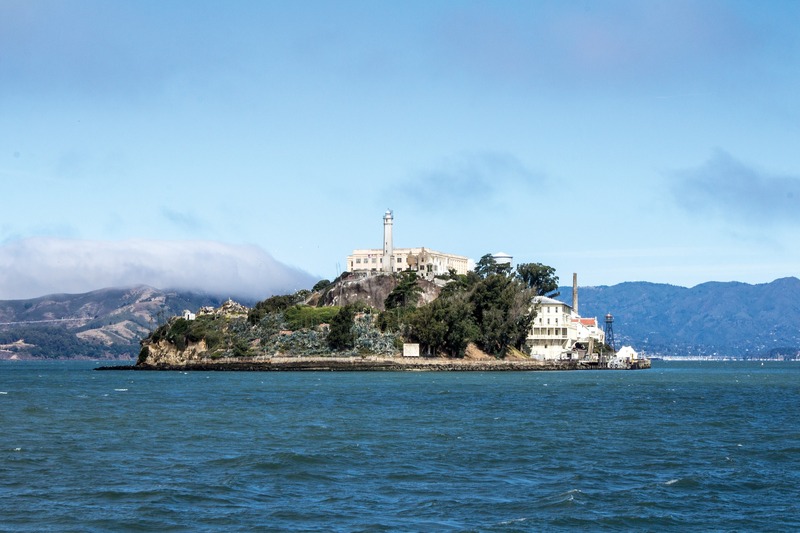 During 4 days in and near San Francisco, we have arranged a variety of activities — a harbour cruise, an excursion on the Napa Valley Wine Train, a choice of visiting Alcatraz or the Aquarium of the Bay, Roaring Camp Railroad, and the Winchester Mystery House. 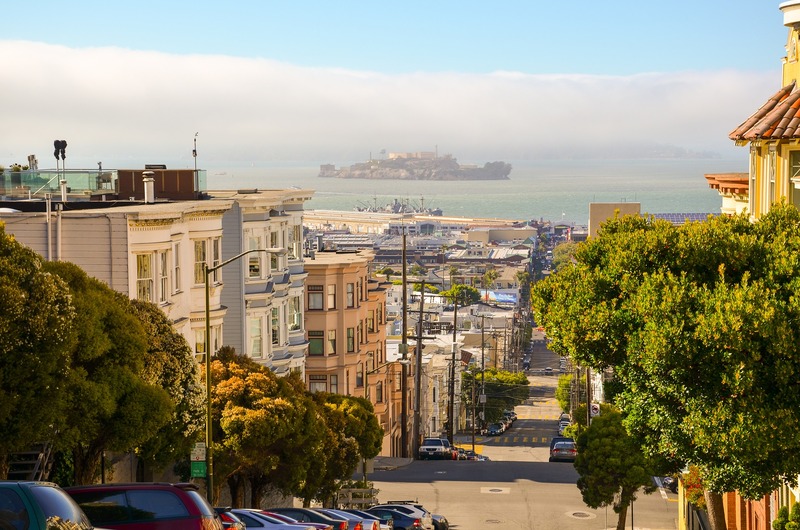 A locally-guided city tour features the renowned Golden Gate Bridge, twisting Lombard Street, colourful Chinatown, the green oasis of Golden Gate Park, and the panoramic view from Twin Peaks. Convenient flights are arranged from Kelowna to San Francisco and return. 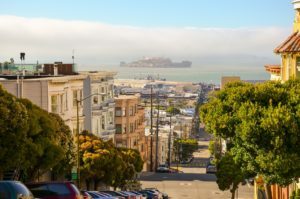 Come and see for yourself why this is my favourite city and why so many travellers fall in love with San Francisco!